The doctor is back with a lot of randomnesses. A little bit of crazy and falling through a train? Tonight revealed the first episode of the new doctor who seasons with a twist, the doctors now a female. The episode started with showcasing a boy named Ryan on the popular social platform youtube vlogging followed by him showing his disabilities. 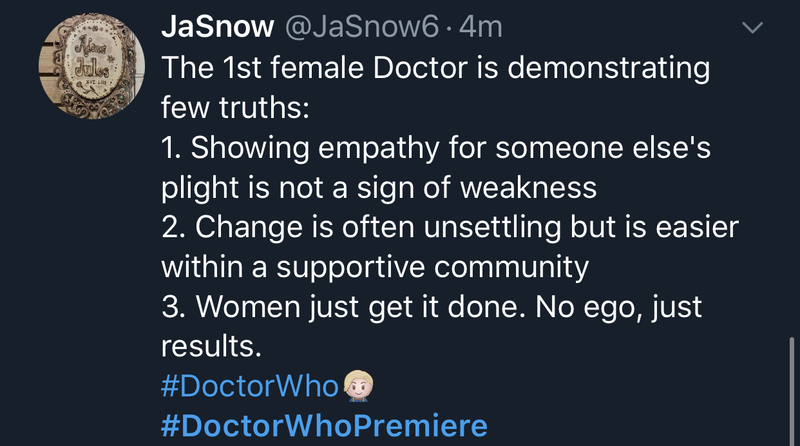 Personally, i love how doctor who first had a lesbian last season and now someone with dyspraxia. I feel the episode was a bit slow to start with but as it got into it was officially AMAZING! A female doctor was defiantly was a good but risky change but she pulled it off. "Swiss army sonic now with added Sheffield Steel "
What is your opinion of the episode? Tell me in the comments below!